Vaccinated for rhinotracheitis, calicivirus and panleukopenia. Examined by the veterinarian (Dr. Lewis) before their departure. Our kittens are sold as pet cats only and without reproduction rights. Some breeders will be able to acquire kittens with breeding/show rights on request and under certain conditions. If you are a breeder, we invite you to send us an email so we can add your email address to our breeder priority list. You will then receive a email before we officially start selling the kittens on our web site. A starter kit is available to future kittens owners including the veterinary health booklet, a proper amount of dry food, his blanket, Mondou kitten's kit, etc. Possibility to register your TICA kitten if desired. Certain conditions apply, contact us. Service for the entire life of your companion! Reduction of 10% on a second kitten in our cattery in the year following the acquisition of your cat with us. The cost of the kittens varies essentially according to the pattern and the quality (pet, breeder or show). The costs vary between $ 1200 and $ 2500, as pet. Deposit $ 350, non-refundable. Breeders prices between $ 3000 and $ 5500, breeder/show rights. Deposit $ 1000 non refundable. Certain conditions apply. Do not forget that our prices includes vaccines, deworming, microship, registration and sterilization. Our kittens will therefore require no investment after acquisition in addition to appointments and usual reminders of vaccines at the veterinarian. We do not recommend declawing cats. Be aware, however, that there are excellent alternatives to declawing. Dr. Lewis will be happy to share it with you, and so will I. For the reservation of your kitten, a $ 350 non-refundable deposit is required. Payment methods are cash or Interac transfers. No checks or $ 100 bills accepted. For those wishing to be informed in priority when our kittens will soon be posted on our site, we invite you to subscribe to our mailing list in the kittens section. Our kittens will be displayed after 4 weeks of age. The price of each kitten will be registered online when the evaluation period will be completed. No negotiation on our prices. We offer the possibility of delivery around the world! The cost of delivery and transport preparation is in addition to the asked price. The cost varies according to your location. Contact us for details. WE NOW HAVE A WAITING LIST! For buyers with a 350$ deposit. These buyers will have a first choice on upcoming litters. We try our best to satisfy every client! Our waiting list works very simply. After discussion or meeting with the breeder, our customers give us a $ 350 deposit to reserve a priority place in our list. The first buyers will have a first choice on the litters, then the second one. As we have more than twenty litters per year, our list goes by very quickly which allows our buyers to have a lot of choice. When the buyer receives the notice from the breeder, he have 24 hours to make his choice in the litter. If no kittens match the needs of the buyer, the next customer can make his choice. And so on. In the event that following the sending of the notice the buyer prefer to wait for the next litter, his name will be given a priority on the list. All non-deposit buyers will be able to select a kitten only when Priority List Buyers have been notified. It is therefore very interesting to be part of our list as it provides a very large selection of kittens. All kittens are on sale once the patterns are well developed (especially snows) and once a preliminary evaluation of the personality is made by the breeder. We can not guarantee a personality but can, by experience, direct the buyers according to their needs, to the best kitten. Litter, shovel, deodorant, carpet, litter sand, transport cage, two bowls, a necklace, treats, food bag, scratching post, toy. A complete starting set for the future homeowner having no equipment at home. These items are carefully selected by our cattery for their quality, robustness and efficiency. Some colors or models may vary depending on the availability of stocks. 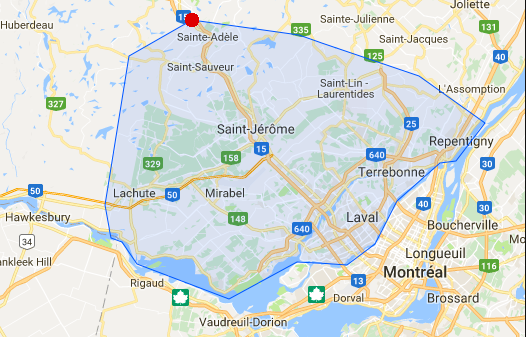 Possibility of delivery outside this area with compensation to be determined by the breeder. ** Buyers be vigilant. We currently find a lot of fraud on the internet. Several pictures of Bengals on various web sites or social medias. To protect yourself, here are some tips. Never send money without first discussing with the breeder. Never send money for deposit before receiving the complete pedigree, signatures of the purchase contract signed by seller, proof of registration of the Cattery. Validate directly with TICA the identity of the breeder and his cattery.